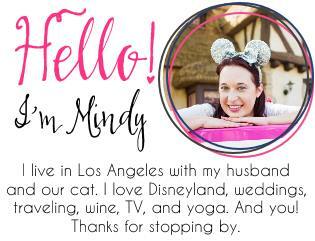 On Sunday I spent a fun morning walking around Disneyland and Disney California Adventure with about 16,000 of my closest friends! 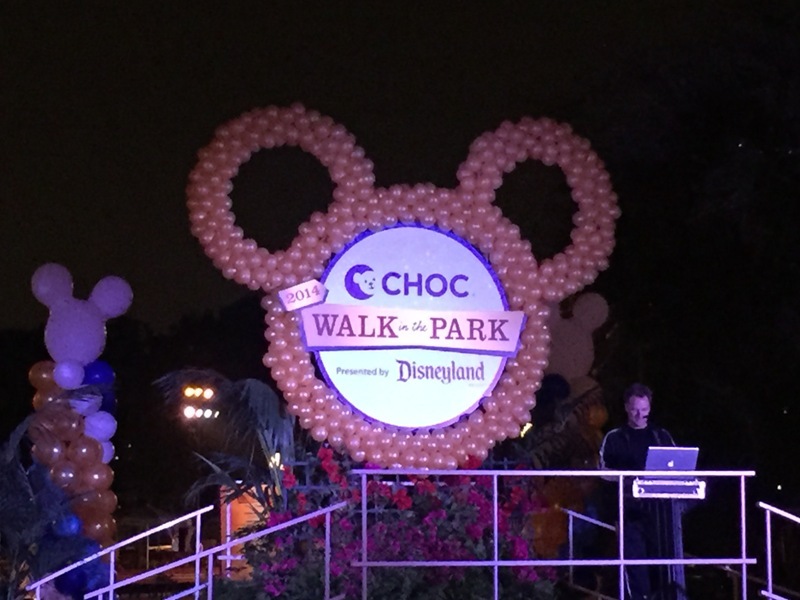 We were all there raising money for CHOC (Children’s Hospital of Orange County) for their biggest fundraiser of the year – a three mile fun walk through The Disneyland Resort! 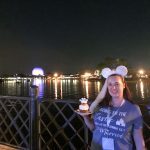 This was my first year participating in the CHOC Walk and I was very happy to be walking with some really great Disneyland Brides, Grooms, and family members! 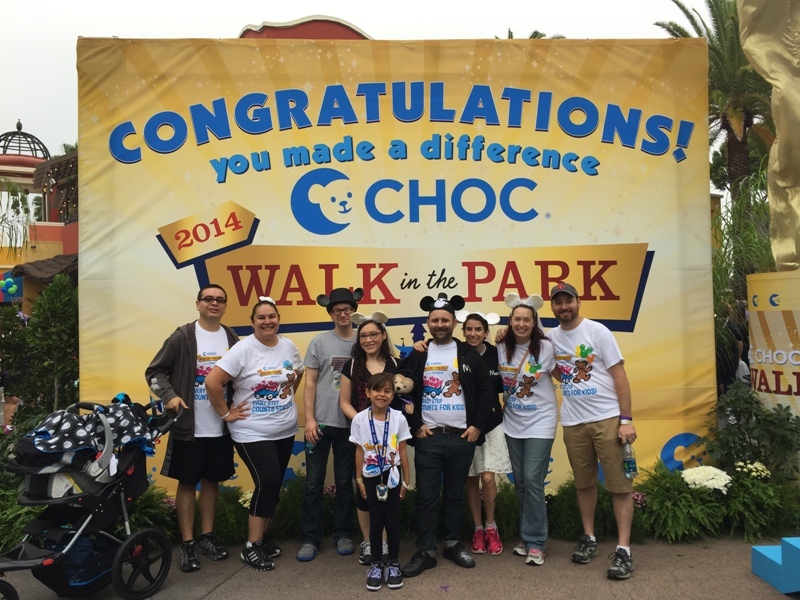 Together our Disney Brides & Grooms team raised over $1500 for CHOC! 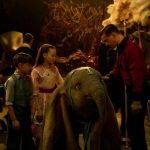 I’m so proud of our team. 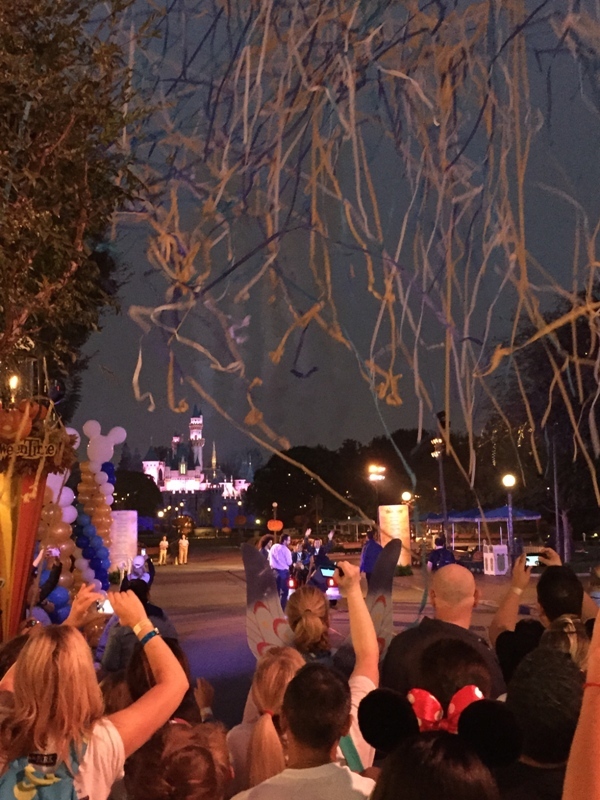 The event started bright and early with opening ceremonies on Main Street USA at 6:15am. 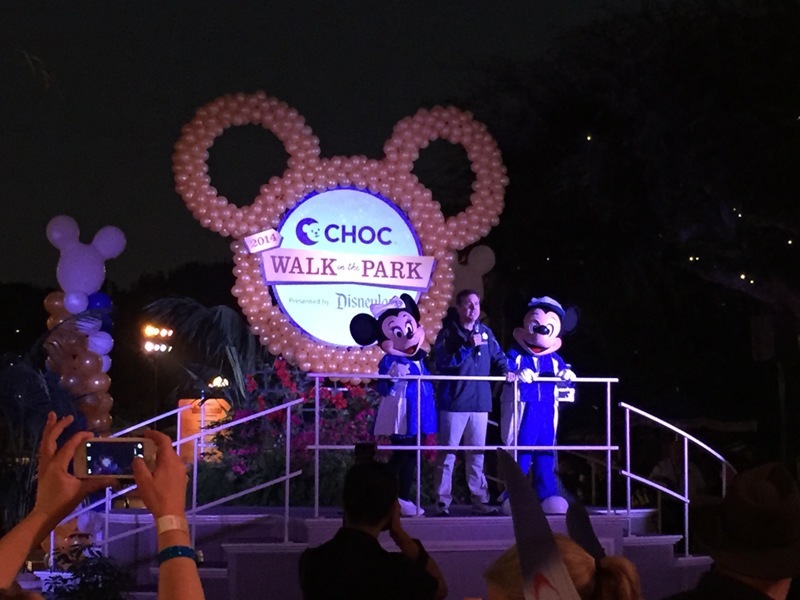 Disney Channel star Caroline Sunshine was there to help kick off the opening ceremonies with the Disneyland Ambassadors and the 2014 CHOC Ambassador Baby K. We also got a visit from Lilo & Stitch! 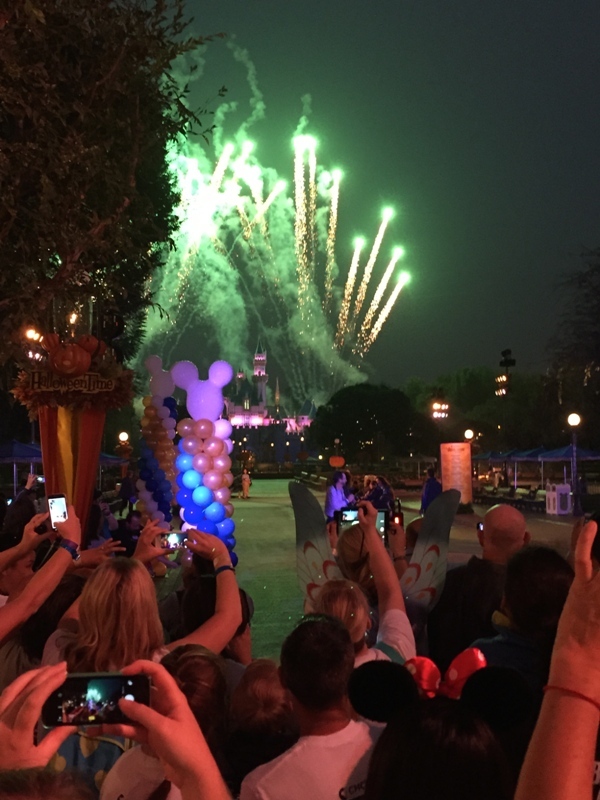 Of course, Mickey and Minnie were also there to help get the show started. Right at 6:30am, the Walk started with a countdown and a bang! 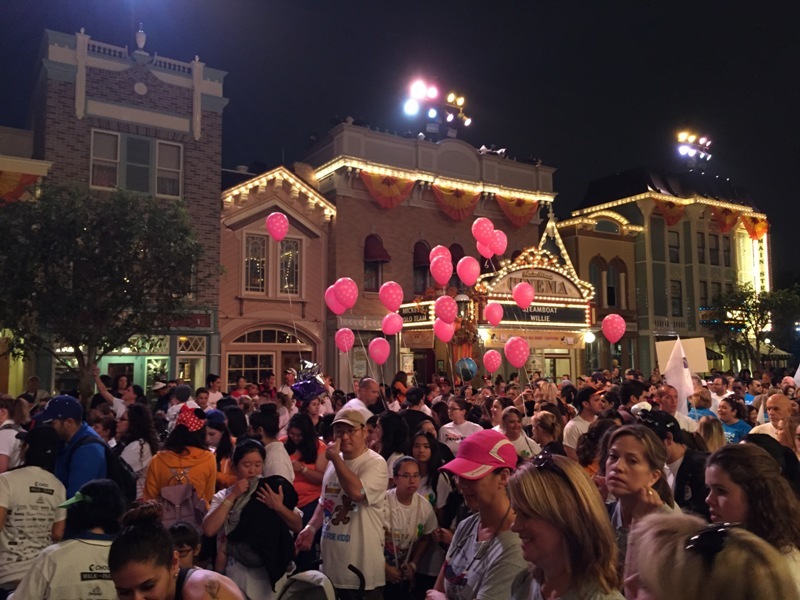 Fireworks and confetti filled the air as the first group of walkers made their way down Main Street USA towards Sleeping Beauty’s Castle. 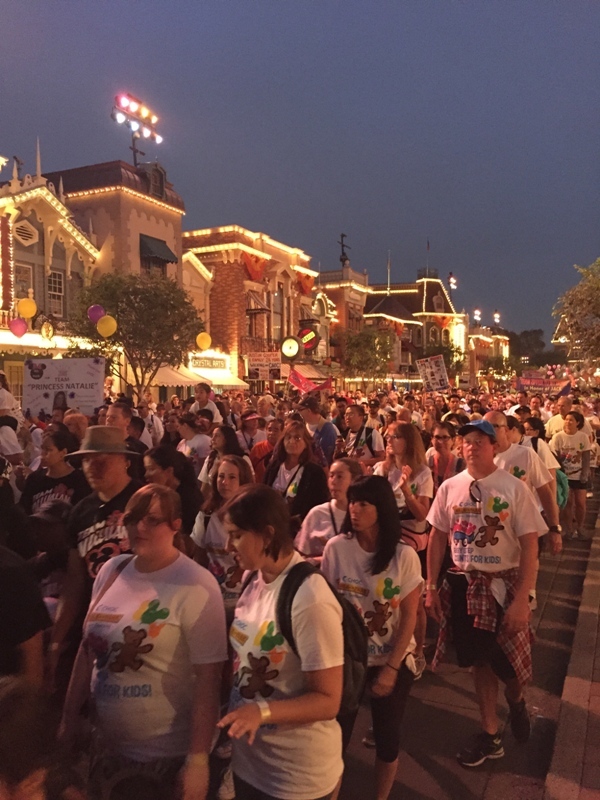 The very touching thing about the CHOC Walk is all the love and support from the many different walking teams. There were several corporations and schools with dozens of walkers. 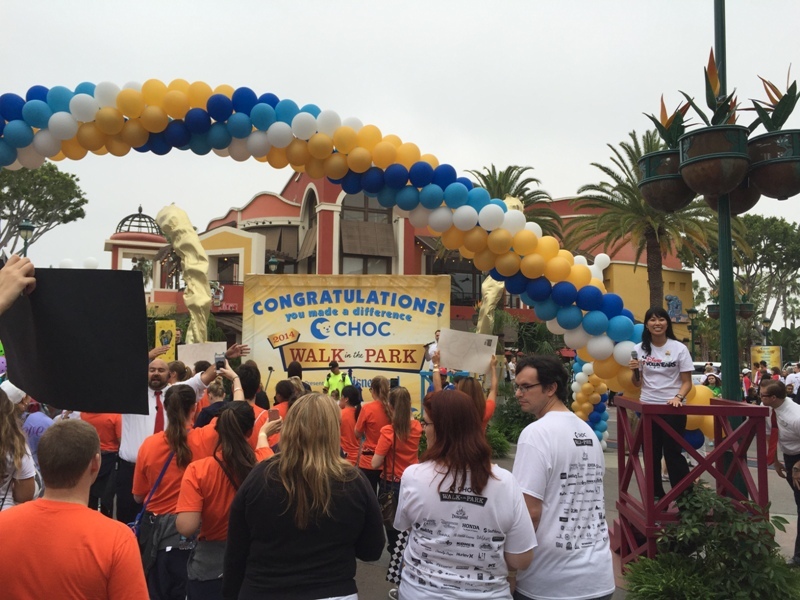 There were also large groups with signs and t-shirts walking in support or honor of a brave child who needed the services of CHOC. Many of these teams have been walking for several years in a row! It’s great to see the community come together for this very sweet cause and my heart goes out to all the family and friends who walked yesterday in honor of a loved one who had passed on. 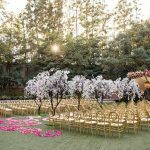 The Walk was filled with surprises! 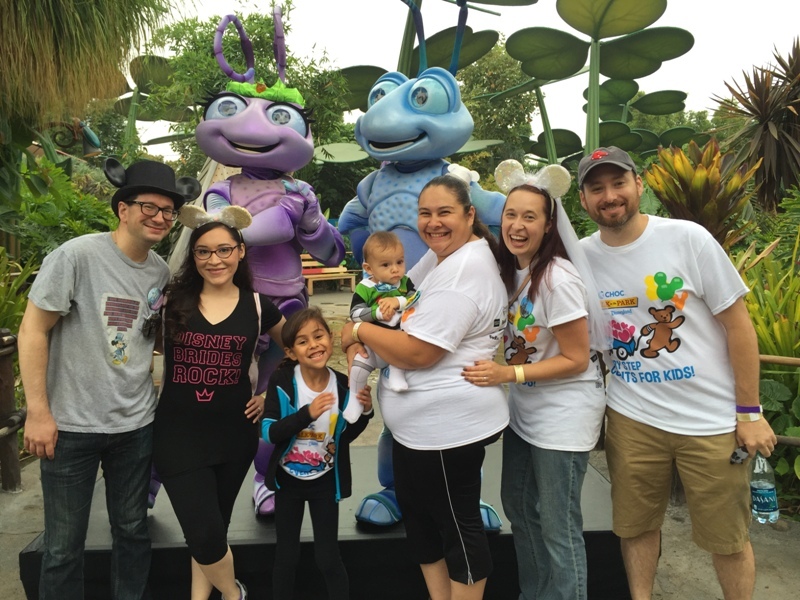 We saw lots of rare characters, much like when participating a runDisney race. 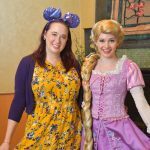 Since this is an untimed walk, I didn’t feel pressured to zip past the cool characters and my friends and I waited in line for a few photo ops! 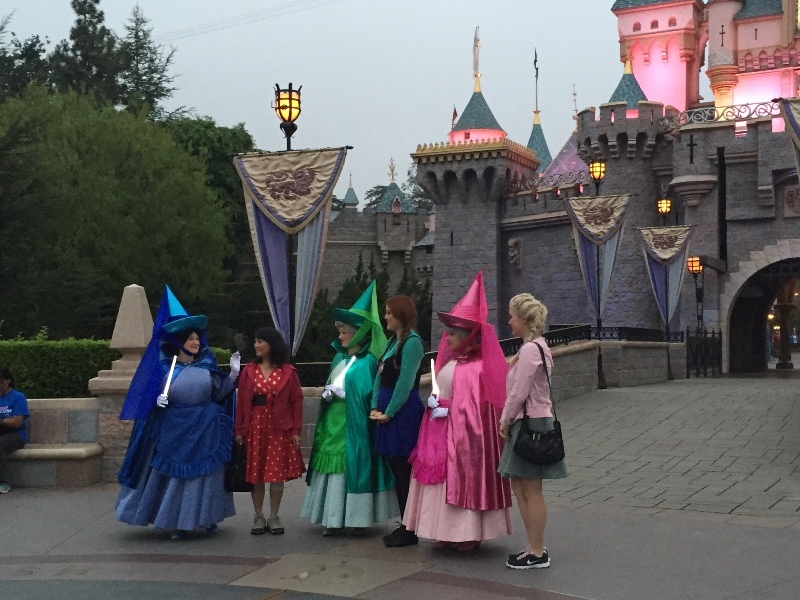 Straight away, right in front of Sleeping Beauty’s Castle, who do we see … it’s Flora, Fauna, and Merryweather, the three fairies from Sleeping Beauty! I’ve never seen them in the parks before and the line for the photo op was VERY long, so I just took a few pics from afar! 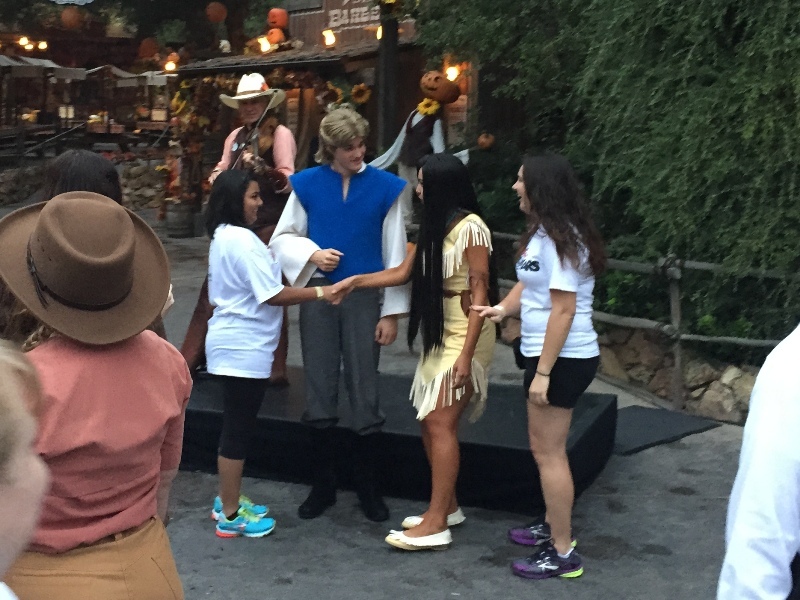 Next we saw Chip and Dale, and later Pocohontas and John Smith. 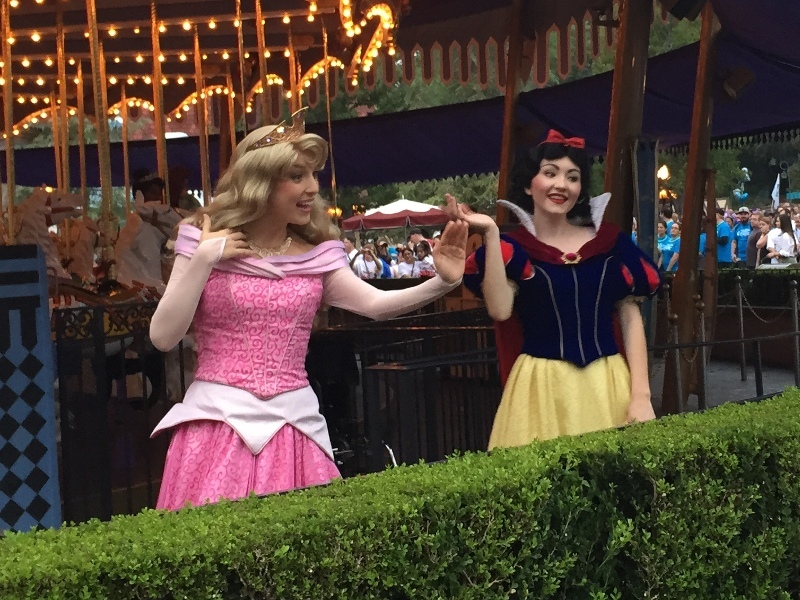 In Fantasyland we saw most of the princesses in the carousel area. 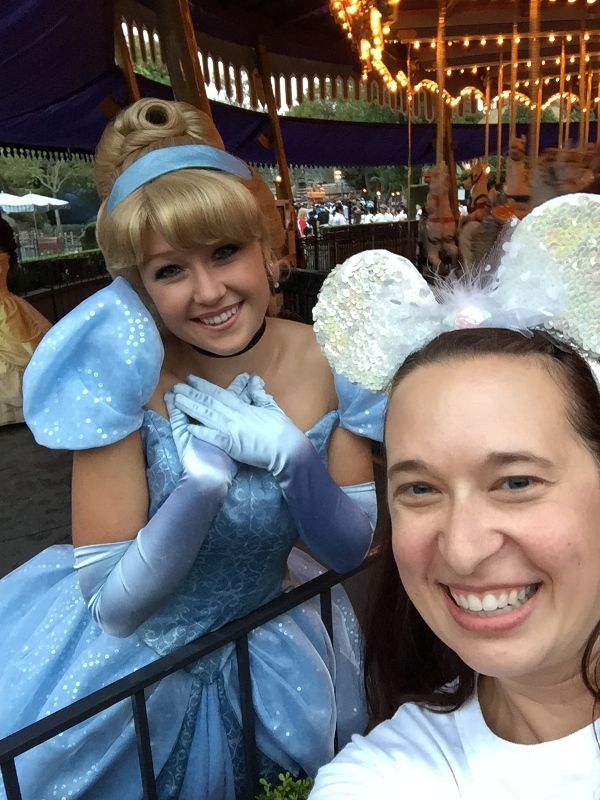 I took a selfie with Cinderella! I know what you are thinking … we are practically twins. A little further down the path were Peter Pan, Hook, and Smee! 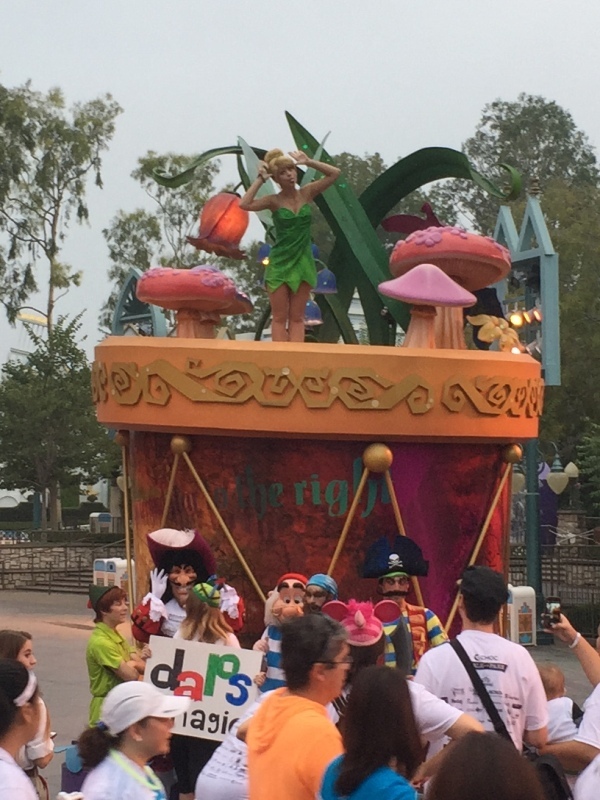 Tink was there too, making faces from up above the crowd. So cute! When we got into Fantasyland we saw Buzz Lightyear. We had to stop for a picture since our youngest “walker” Max was dressed as Buzz. 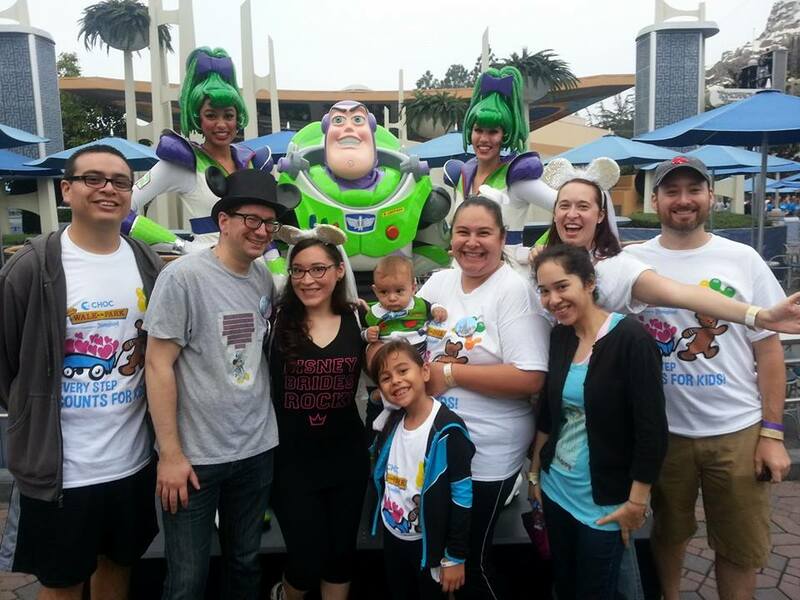 The real Buzz was so excited to see him! 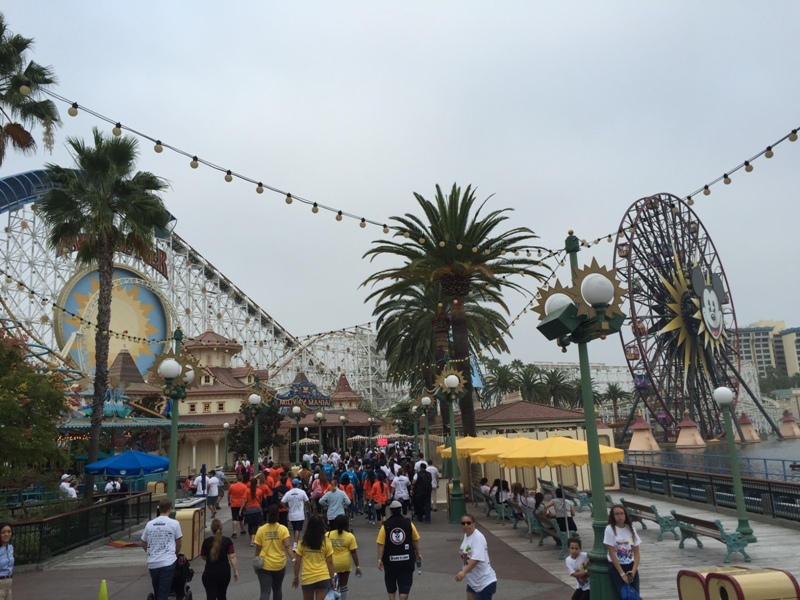 After winding through Disney California Adventure the Walk ended in the middle of Downtown Disney with a lot of fanfare! We took a group photo and gave each other high fives for a job well done. We all agreed we had a ton of fun and wanted to make this an annual tradition! 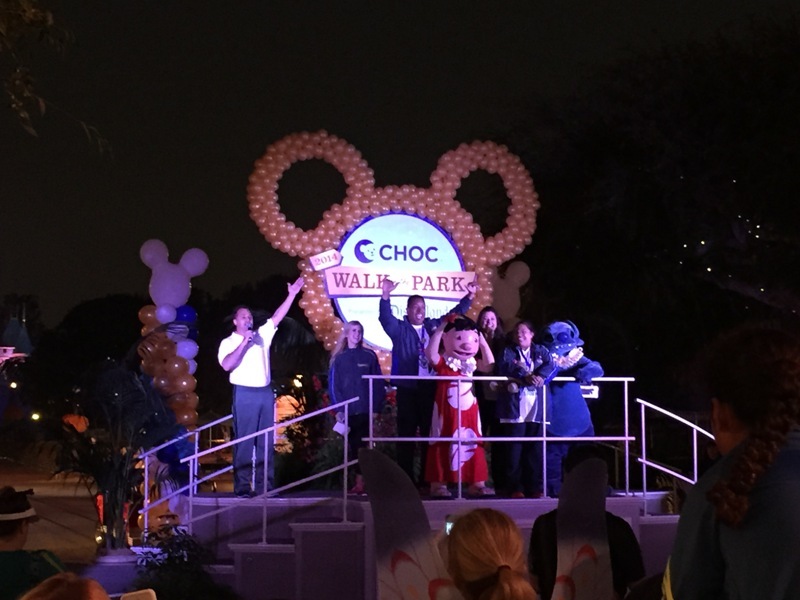 The CHOC Walk in the Park takes place every year in October. Usually you can start signing up in July or August so keep an eye on their Facebook page for updates. 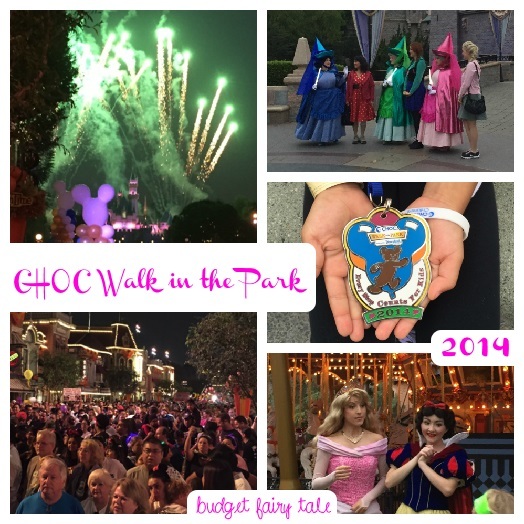 I would love to have a HUGE GROUP walking next year so please consider joining us!